Vick, on 2nd and 8, off-the-play fake … has some running room … inside the 30! … inside the 20! Vick, into the end zone! Falcons win in overtime! A 46-yard touchdown run! It was Dec. 1, 2002, early in the overtime of a Week 13 game: Minnesota Vikings vs. Atlanta Falcons. At Minneapolis’ Hubert H. Humphrey Metrodome, play-by-play announcer Kenny Albert’s voice climbed one octave after the next, trying hard to match the lightning pace of the play unfolding before him. This Sunday fell in a golden age of early 2000s sports. Michael Jordan, at 38, embarked upon his final NBA season. Major League Baseball yielded Barry Bonds’ first batting title. Tiger Woods was Tiger Woods. And all eyes were on a young NFL quarterback named Michael Vick. With the score tied at 24-24, the Vikings got the football first in overtime. Yet Minnesota’s offense, led by the star tandem of quarterback Daunte Culpepper and wide receiver Randy Moss, stalled. The Vikings punted to the Falcons, which put the ball back into the hands of Atlanta’s second-year quarterback. At the time, Vick was a 22-year-old phenom, in his first year as a full-time starter, but every overtime game he’d encountered so far in the NFL had ended in a loss. This time would be different. Following a 2-yard run on first down, Atlanta head coach Dan Reeves called a play-action pass play. Vick hiked the ball and faked the handoff to running back T.J. Duckett. It was when the pocket collapsed that artful improvisation began. Vick rolled out to his left, tucked the ball and ran like a kid trying to get home before the street lights come on. He turned the corner on linebacker Nick Rogers, leaving defensive end Lance Johnstone in the dust. Vick glided past cornerback Eric Kelly and then made a move toward the middle of the field, eliminating Ronnie Bradford’s angle to make a play. Strong safety Corey Chavous and linebacker Greg Biekert thought they had him — but they were wrong. Vick squeezed through a tiny window right before they crashed into each other like bumper cars. 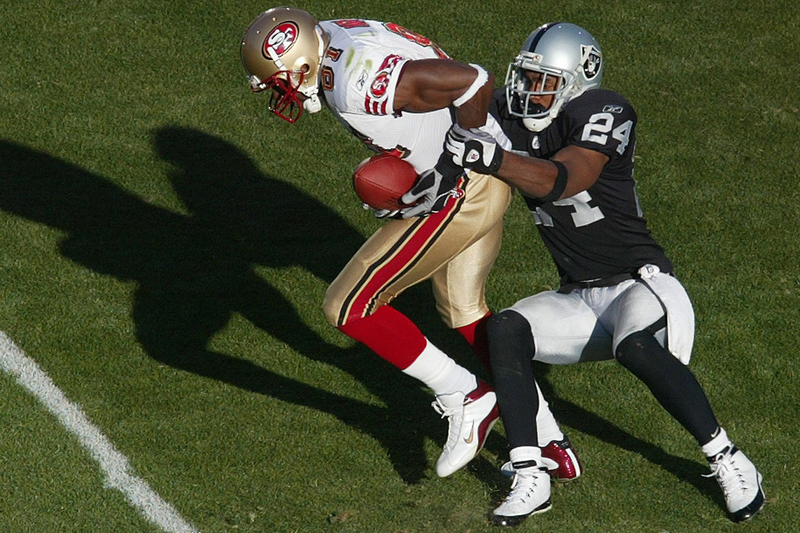 Cornerback Brian Williams got a hand on him, but it was too late. Vick scorched his way up the field — past seven defenders, if you’ve lost count — and twirled into the end zone. His 46-yard touchdown run delivered the Falcons a 30-24 overtime win. Forget in walk-off fashion — Vick ran straight off the field in celebration, his foot still on the gas. The game’s electrifying conclusion reshaped the traditional concept of football ability and speed. Vick’s play wasn’t just a run — it was a high-speed police chase, a controller-clinching highlight straight out of a video game. The run is a crisp Gucci Mane verse over a perfect Zaytoven beat. It’s poetry in motion. Vick finished the game with 10 carries for 173 yards, breaking a 51-year single-game record for the most rushing yards by a quarterback. The magic of the performance didn’t stop there. He recorded the longest touchdown run ever by a quarterback in overtime, and his 17.3 yards a carry topped Hall of Famer Marion Motley’s 17.09 average from the 1950 season. This was Vick at the peak of his powers. The museum wanted to honor Vick’s milestone with his game-worn shoes. Yet what arrived in Canton, Ohio, weren’t Nike, Adidas, Reebok — or even cleats. Vick’s record-breaking size 11.5 white-and-red Air Jordan 17s were of course not made for 100 yards of grass or turf, but for 94 feet of hardwood. In 2002-03 season, Vick revolutionized the game of football by playing in basketball shoes made iconic by Michael Jordan, one of the greatest revolutionaries in sports history. But plans had long been in the making: A player of Vick’s caliber demanded nothing less than his own signature shoe. Morris is a former Marine who designed G.I. Joes for Hasbro before becoming a sneaker designer. Four days into his first job at Reebok, he was deployed to the Persian Gulf. In 1998, he began at Nike, and saw Vick play for the first time as the quarterback at Virginia Tech, a year before his impromptu meeting with Jones. In his first season as a starter, Vick led the Hokies to an 11-0 mark and No. 2 national ranking, earning them a chance to play for the BCS national title against No. 1 Florida State in the 2000 Sugar Bowl. The Hokies fell to the Seminoles, 49-26, though Virginia Tech put up 503 total yards of offense, propelled by Vick’s 225 passing yards, 97 rushing yards and two touchdowns. Just last month it was announced that Vick would be inducted into the Virginia Tech Sports Hall of Fame. 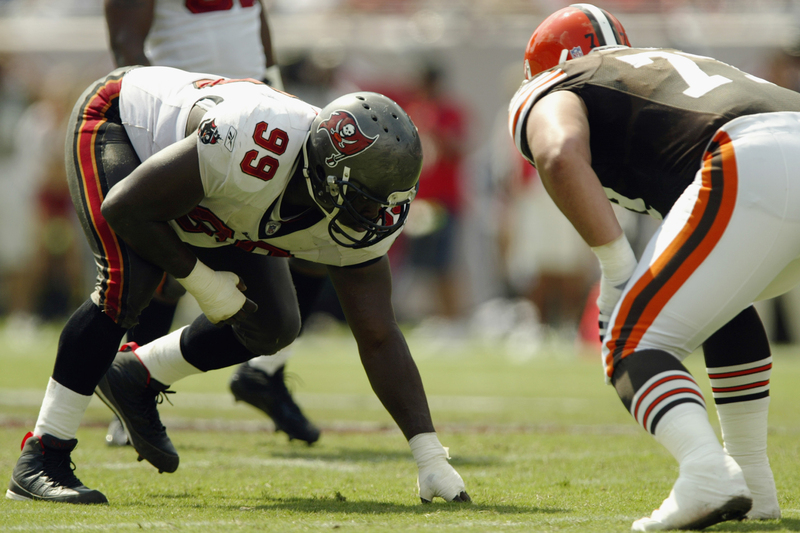 By the time Jones popped into Morris’ office, Vick had decided to forgo his final two years of college eligibility and declare for the 2001 NFL draft. The Atlanta Falcons took Vick No. 1 overall, making him the first African-American quarterback to be selected with the top pick. So, before Nike even signed him, before the Falcons drafted him — before he played a single down of professional football — Nike began conceptualizing Vick’s first signature shoe, with Morris as the design’s point man. “All I kept [asking myself] was, ‘How are you gonna design a shoe for this guy? What are you gonna deliver?’ ” Back then, and even now, NFL players didn’t get the signature treatment to the same degree as their NBA counterparts. Only superspecial players such as Bo Jackson, Deion Sanders and Barry Sanders had their own shoes. Vick would soon join their company. So Morris was into putting together a portfolio for Vick’s first cleat and turf shoe. He began studying the quarterback’s athleticism and style. He treated the portfolio as a scrapbook/sketchbook, inserting news stories, press passes and tickets from the games, as well as conceptual drawings based on Vick’s play, or a moment or habit from Vick that gave Morris inspiration. Morris also wondered what the young quarterback himself wanted in his first shoe. Sometime between his rookie and sophomore seasons, Morris, along with Nike’s cleated division head Mark Cavanaugh and one of the company’s marketing managers, Nancy Zucco, journeyed to Atlanta. The name of the restaurant at which they convened evades Morris, but he knows it was in Buckhead and that it was fancy. Vick arrived with shoe boxes filled with his favorite kicks. “These are the shoes I like,” Vick told Morris. This wasn’t the clean-cut 2017 Vick. This was the cornrow-rocking, do-rag-flapping, throwback-jersey-wearing young Vick, who’d appeared at the 3:15 mark in the video for T.I.’s 2003’s “Rubberband Man.” Back then, he likely wouldn’t have criticized (and then walked back the criticism) an Afro like Colin Kaepernick’s, but embraced it as a cultural statement. On Feb. 25, 2002, during the offseason following Vick’s rookie year, the Falcons released Chandler, the 14-year veteran. Atlanta’s new franchise quarterback entered the 2002 season as starter and with a whole lotta swag. Vick chose to wear Air Jordans at home in the Georgia Dome, and during road games at stadiums with AstroTurf fields. Vick wasn’t the only one to finesse the norms of traditional on-field footwear that season. A fraternity of elite players sparked a cultural movement in the NFL by donning flashy basketball-inspired shoes on turf and grass. 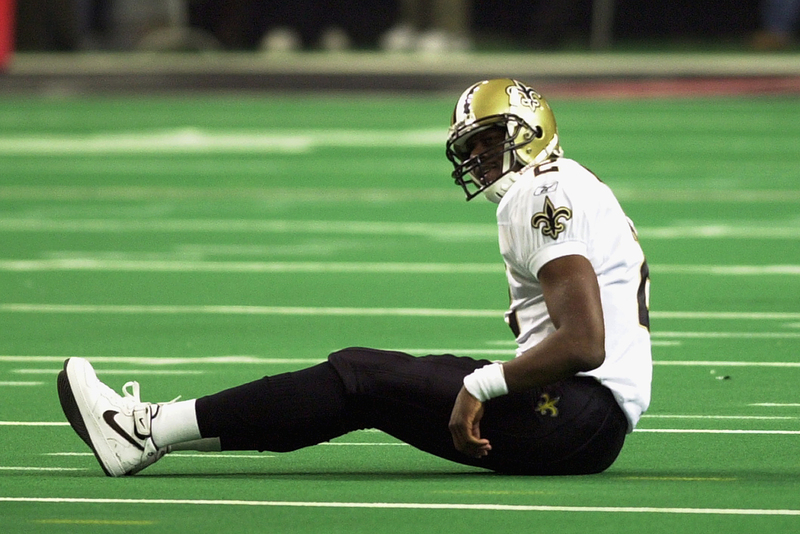 Saints quarterback Aaron Brooks broke out high-top Air Force 1s at home in the Louisiana Superdome. “Nobody was rocking the Air Force 1s. So, I was like, ‘Yo, let me do something different,’ because that’s what it was about — making a statement,” Brooks said. Most guys, however, turned to Air Jordans. 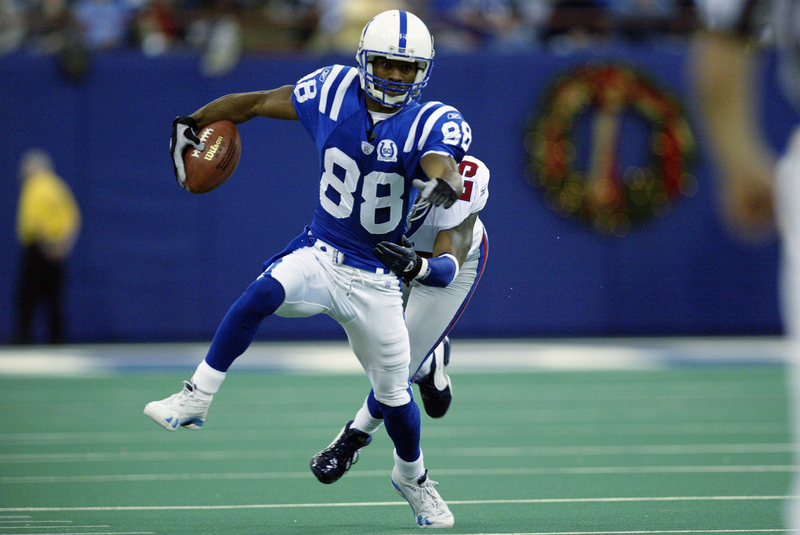 Colts wide receiver Marvin Harrison wore blue-and-white Air Jordan 14s in Indianapolis’ RCA Dome, while Eagles quarterback Donovan McNabb, Buccaneers defensive end Warren Sapp and Raiders cornerback Charles Woodson all rocked custom Air Jordan 9 cleats in unique colorways on their respective home grass fields. In the Week 13 matchup between the Vikings and Falcons at the Metrodome, Vick and Moss went toe-to-toe on the turf in a battle of Air Jordans. 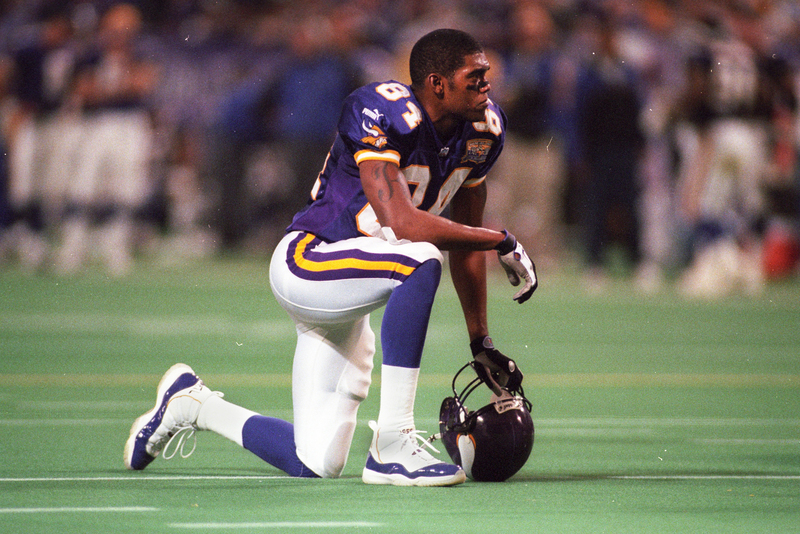 Moss caught nine balls on 16 targets for 134 yards in a custom pair of white, purple and yellow Air Jordan 9s, with his No. 84 embroidered on each shoe’s heel. In his Air Jordan 17s, Vick rushed for the most yards by a quarterback since Tobin Rote’s 150-yard performance for the Green Bay Packers in 1951. By the time he crossed the end zone in overtime to win the game, Vick’s Jordans were destined for Canton. There are two other pairs of Air Jordans in Canton — Woodson’s Air Jordan 6s, in which he recorded his 65th career interception in 2015, and 2017 Hall of Fame inductee Jason Taylor’s Air Jordan IVs from the 2009 season, when he returned his NFL-record sixth fumble recovery for a touchdown. Woodson and Taylor’s shoes, however, are cleats. Only one pair of basketball shoes in football history have made it the Hall of Fame — and that’s because of Vick. 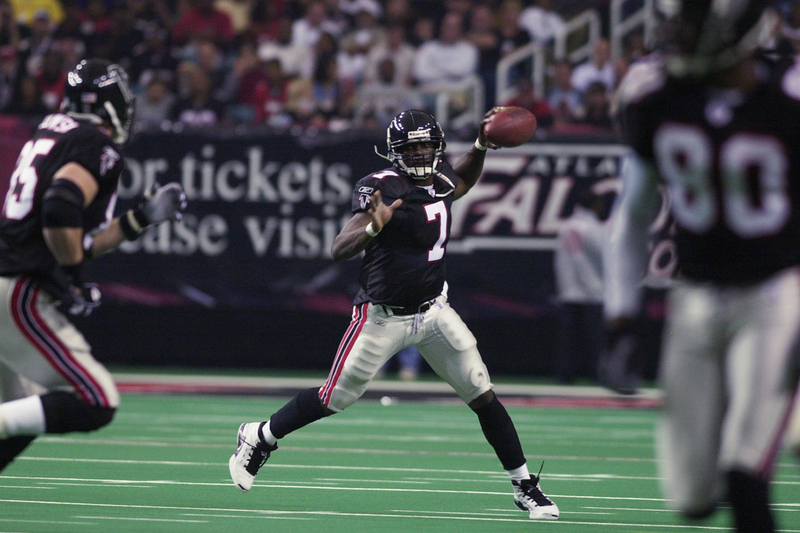 During the 2002-03 season, Vick made his first trip to the Pro Bowl after leading the Falcons to a 9-6-1 record, which earned the franchise its first playoff appearance in four years. Atlanta’s playoff run even included a wild-card upset of Brett Favre and the Green Bay Packers at Lambeau Field. Vick threw for 3,327 yards and 17 touchdowns, with 871 rushing yards for eight touchdowns, in 17 games that season — 10 of which he played in Air Jordans. Vick had arrived in the game of pro football, and was finally ready to do so in the realm of footwear. Walter Payton. Mother Teresa. Pablo Picasso. Michael Jordan. Albert Einstein. Bruce Lee. In late December 2003 — a little more than a year after Vick sent a pair of Michael Jordan’s shoes to the Hall of Fame — Nike dropped the Air Zoom Vick 1 in a cleat for grass and trainer shoe for turf for $120 at retail. Each pair is light, weighing a mere 12.5 ounces. And they’re breathable, featuring a molded quarter with slots. Inspired by the game-winning touchdown at the Metrodome, Morris considered Vick to be a “motorcycle amongst cars on the field,” given his ability to weave through defenders like a bike through traffic. So, the band on the toe of the Vick 1s signifies a motorcycle’s clutch. Per Vick’s request, the shoes also have a top-locking strap, because of how much he loved the Air Forces 1s. 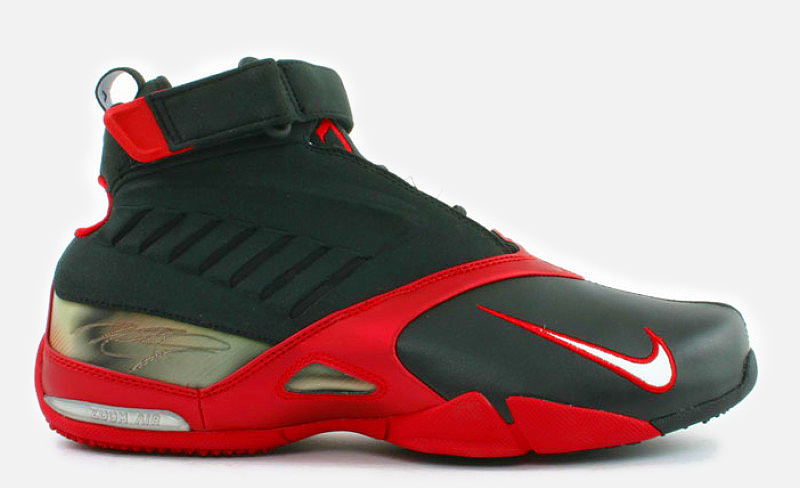 The Nike Air Zoom Vick 1 turned into the Zoom Vick 2, then the Vick 3, Vick 4 and Vick 5. Though it’s like picking his most beloved child, Vick’s favorite shoe is his first. 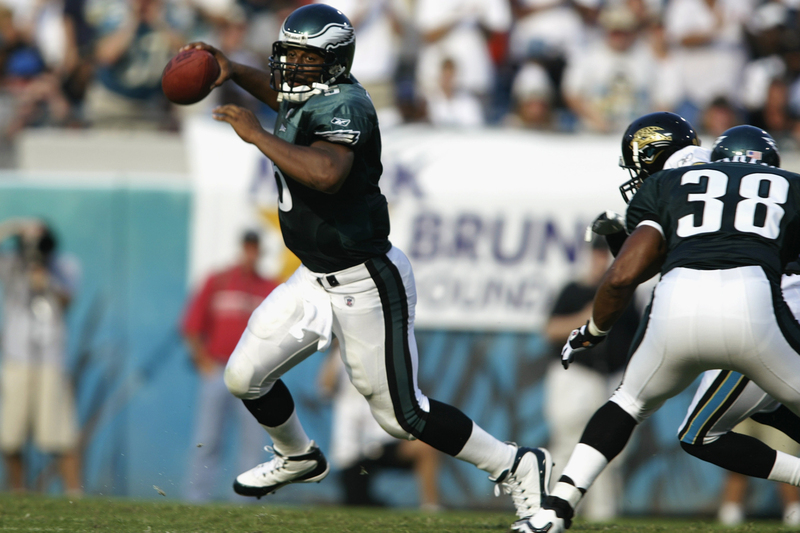 Upon its release in 2003, in some ways, Vick had already conquered the league. 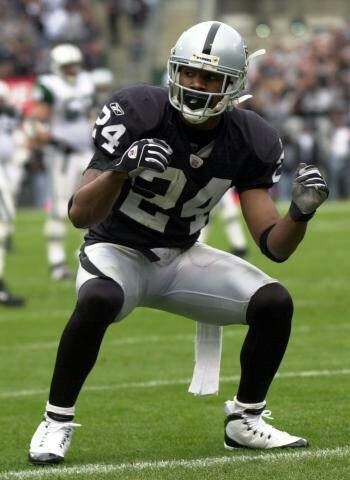 His skill, speed and swag were unprecedented. And his quick rise to superstardom meant he no longer had to wear someone else’s shoe.